Launching Velo Lumino – Electricalites A.T. The Velo Lumino website and store is open for business! We design and small-batch manufacture lighting components and installation hardware for high-end bicycle generator lighting systems. Some history: Some of you know me from my flickr stream, somervillebikes. 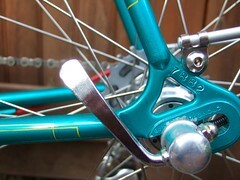 Others know me as Anton (my real name) from my posts on the iBob, 650B and other bike-related internet lists. For those who don’t know me, I’ve been posting photos of my vintage bikes, bike builds, 650B conversions, DIY hacks, rides, and other obsessional endeavors, especially when it comes to lighting and lighting integration, for several years. I also co-author the blog Riding the Catskills. Although I live four hours away from the Catskills in Somerville, MA, and closer to New England’s own lovely mountains, I love taking trips back to my home to explore its hilly 19th century dirt carriage roads by bike (the banner photo of this blog depicts one such road). 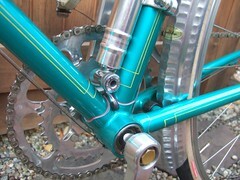 After recognition of some of my bicycle lighting work online, I started getting commissions to install lighting systems on custom bicycles. 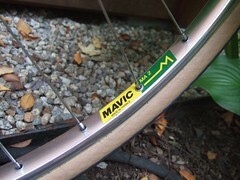 Peter Weigle, whose bikes were the focus of a couple of those jobs, suggested I come up with a logo. 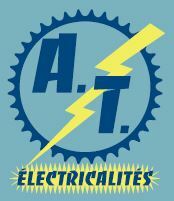 Thus, Eléctricalités A.T. was born: an endearing homage to the famous French bike component manufacturer that merges my love of vintage French bikes and components with my love of bicycle electrical systems. This year I took my bike-obsessional tendencies a step further when I decided to apply some of my ideas and bring them to market on a small production scale. 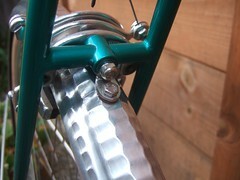 I teamed up with frame builder Tom Matchak to design a novel lighting switch that mounts inside of a threadless stem. 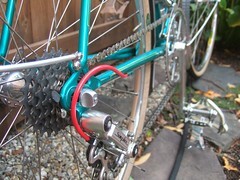 The idea of a stem-mounted switch isn’t new; a few examples exist among custom builders and bike-oriented fabricators. But my idea was for one that would work entirely differently, one that would be simultaneously ‘bombproof’ and handsome. While my idea focused on a neat electrical switching concept involving magnetic reed switching technology, Tom proposed his own ideas for the mechanical aspects of the switch. Importantly, he had ideas for making it easy to install, so that anyone comfortable adjusting a headset could install it. 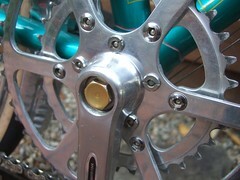 That not only started a fruitful collaboration between us, but also led to the idea that such a switch could fill an unmet need in the cycling community: anyone could install one. A month later we had a working prototype, and within a few more months we had made several revisions– all of which underwent rigorous testing (which will be the subject of a future blog post). We were so happy with the final prototype, we used it as the basis to move into production. We are very excited by this switch! We’ve worked hard not only to make it bomb-proof, but to make it jewel-like, perfect for proudly displaying on a fine custom build. As a result of that collaboration, we’ve opened the Velo Lumino website and are offering the TMAT (=Tom Matchak, Anton Tutter) stem switch, as well as other products related to bicycle lighting and integration of those components. The Velo Lumino product line also includes a novel fender taillight: the first modern generator taillight with state of the art electronics, but made from CNC milled aluminum. Sharing the same ethos as the TMAT stem switch, the AT fender taillight is another ‘jewel’ on the outside, yet robustly engineered on the inside. I am also offering my lighting installation services, specializing in internal wiring and all aspects of generator lighting systems. I also do custom retrofits of vintage taillights with modern LED circuitry. So check out velolumino.com to learn more, and follow this blog if you want to stay informed about product updates and developments. Tom and I will also write about the thought process that goes into our products and how they fit into our design philosophy and aesthetic. I will also occasionally post installation tips/tricks/how-to’s, and things I just consider really neat. Feel free to drop Tom or me a note. You can contact us directly from our About pages. What testing goes into the components we design and build?